Home prices rose 0.9 percent in Los Angeles County in February, compared to the same month a year ago, while home sales dropped by 11.8 percent, a real estate information service announced Wednesday. According to CoreLogic, the median price of a Los Angeles County home was $585,000 last month, up from $580,000 in February 2018. A total of 4,206 homes were sold in the county, down from 4,768 during the same month the previous year. In Orange County, the median price was $700,000 last month, down 1.4 percent from $710,000 in February 2018. The number of homes sold dropped by 17.1 percent, from 2,296 in February 2018 to 1,903 last month. A total of 13,466 new and resale houses and condos changed hands in Los Angeles, Riverside, San Diego, Ventura, San Bernardino and Orange counties last month, according to CoreLogic. That was up 6.3 percent from 12,671 in January, and down 11.7 percent from 15,245 in February 2018. The median price of a Southern California home was $512,500 in February, up 1.5 percent from $505,000 in January and up 1.2 percent from $506,455 in February 2018. “February was the third month in a row in which Southern California home sales were the lowest for that particular month in 11 years, since shortly after the last housing downturn began,” said Andrew LePage, research analyst with CoreLogic. 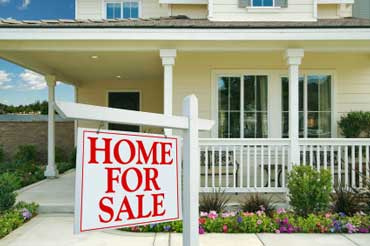 “But the magnitude of the year-over-year declines in home sales has been easing in the past few months, from a 20 percent annual drop in sales last December to a decrease of just under 12 percent last month. “The lessening of the annual sales declines likely reflects, among other things, a significant drop in mortgage rates since they hit a seven-year high last November, as well as more listings compared with early last year and an improving stock market in early 2019,” he said.